Payday lenders have a long history of making bad loans that trap Nebraskans in a cycle of debt with outrageously high interest rates and unreasonable repayment terms. 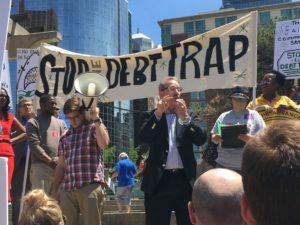 We recently traveled to Kansas City to take a stand against predatory lending. Now, you have a chance to take action today! We urge you to leave a public comment for the Consumer Financial Protection Bureau asking them to strengthen new rules and make payday lenders operate under fair policies for everyone. Your voice can help make sure all Nebraskans can get fair access to good banking. 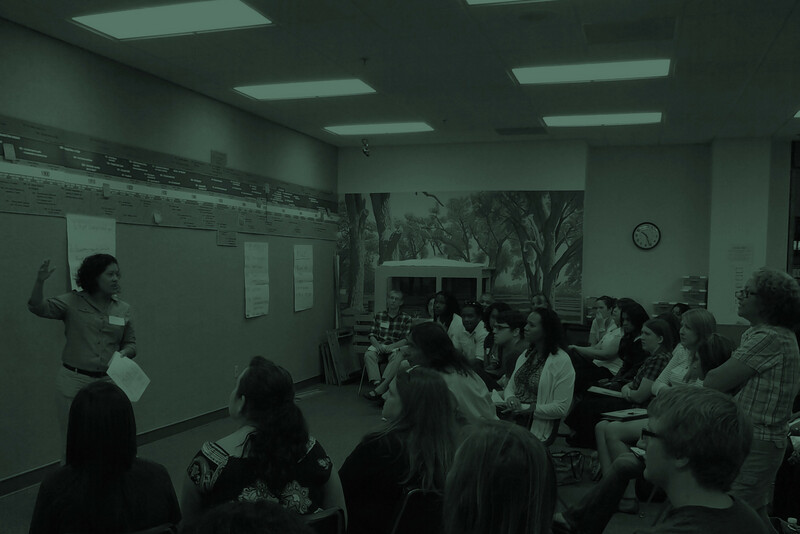 On August 3, Appleseed joined other organizations around the state and country for a national day of action to show that fixing our outdated immigration laws lead to a stronger U.S. economy. Nebraska business leaders were part of the launch of the 50-state Reason for Reform campaign, urging Congress to pass long-overdue updates to our immigration laws. A new report released by Partnership for a New American Economy found Nebraska immigrants contributed $616 million in taxes in 2014 and earned 4.8 percent of all income in the state, making them significant contributors to our economy. This supports earlier research showing updating immigration laws to include a clear path to citizenship would further boost Nebraska’s economy. 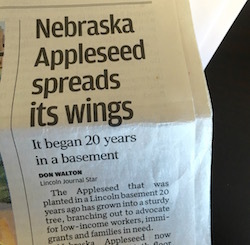 This summer, Appleseeders have traveled the state to learn about issues important in our communities, and the No. 1 challenge we’ve heard from you is too many hard-working people can’t afford health insurance. We’ll keep fighting for every Nebraskan to get the quality health care they need, and we want you to join us! Sign up to be part of the Insure The Good Life campaign and we’ll let you know ways you can make a difference for 97,000 hard-working Nebraskans like Shawn who can’t get health insurance. Sign a post card, contact your senator, talk to a friend, or attend an event. Every little action makes a difference, and with your help, we will make sure every Nebraskan can get the health insurance they need. In June, the U.S. House of Representatives quickly passed the bipartisan Family First Prevention Services Act, which aims to help support families and prevent children from unnecessarily entering foster care. The bill would let states use federal funds to improve prevention services that would help struggling parents with the skills needed to prevent their children from entering foster care. Tell Nebraska’s U.S. Senators the Senate must pass the FFPSA without delay when senators return from summer recess. The Lincoln Journal Star recently spoke with us about our 20 years of fighting for justice and opportunity. Our Immigrants & Communities team talked to women in Scottsbluff about being community leaders. Too many working Nebraskans in Grand Island, Lexington, and North Platte can’t afford health insurance. Our “Volunteer Spotlight” series continues. Meet Sloan Rupp and Miriam Champman.